Getting your visitors and customers to engage with your brand can be difficult. Engagement involves three different aspects. First, you must provide relevant products and content for your target market. Second, shoppers must see value in what you offer or else they’ll find that somewhere else on the web. Lastly, you must create trust between you and your shoppers. Here are 10 ways to drive engagement with your online store so you can create and develop lasting customer relationships. If you’re looking for engaged visitors, then start with the ones who have purchased from you before. Repeat customers spend an average of 3 minutes more on site than new visitors. They tend to view more pages and are much more likely to buy. Target your repeat visitors and customers with specific marketing campaigns. Send out targeted emails, run special promotions for repeat customers, or offer value to repeat customers in a creative way. By targeting visitors who have purchased your products before, you can drive more sales and create customer relationships for future benefit. This seems so obvious yet businesses miss the boat everyday. Post content that is relevant to your target market. No, you won’t get it right on every blog post, but focusing on your expertise is key. Once you’ve developed a good amount of content, take a look at how it has performed. Take your top 5 posts, figure out what makes them so valuable to your visitors and replicate that success on future posts. Keep in mind that content on current events and industry updates sees high engagement early on while evergreen content will perform well over the long term. Eco Lunchbox sells a line of eco-friendly lunchboxes along with cool bags and other accessories. 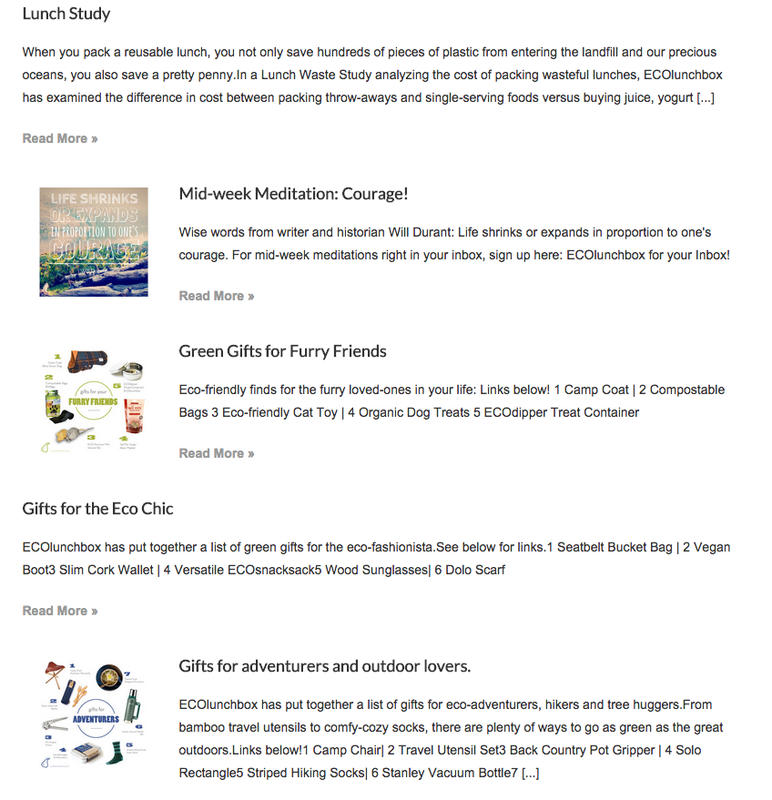 Their blog is packed full of relevant content for environmentally conscious individuals. The blog features news updates, buying guides, and recipes. Eco Lunchbox doesn’t try to do too much, they stick to their expertise and absolutely nail it with their content! When a visitor arrives at your site, what is their next step? While this is a tough question to answer, there are ways to track this. Using Google Analytics, you can analyze visitor flow and determine where you’re losing visitors and customers. You can use this tactic to see the relevancy of your blog content, how effective your checkout process is working, and which pages are driving shoppers to leave your site. Here’s more information on how to analyze visitor flow in Google Analytics. The paradox of choice states that too much choice can cause a feeling of less happiness, less satisfaction, and even paralysis. By having too many products, you run the risk of losing relevance and preventing shoppers from making decisions. Stick to your core product offerings initially and then build out your selection once demand is there. This is an intelligent way to scale your business and you can be sure that all of your products will be receiving exposure. Ezekiel only displays items that are in season and maintains a low number of available items. This ensures that only relevant garments are displayed and puts shoppers in a position to make a purchasing decision. A website that is easy to navigate through tends to have more engagement because shoppers know where to go to find what they want. A simple checkout process means less steps for shoppers to complete a purchase. Streamline the checkout process by eliminating unnecessary fields and combining steps. Answer all questions about shipping, returns, and billing early on in the process. It’s better to be upfront and establish that trust before shoppers begin entering their personal information. Craft concise, actionable copy to use throughout your site. Visitors won’t want to read paragraphs of information but they do want to see some personality and creativity. This is your opportunity to represent your brand and make connections with visitors. Have some fun with it! Most shoppers are using multiple devices to browse and shop online so be sure they can actually view your site. The same goes for email. Over half of all emails are opened on a mobile device so be sure subscribers receive your marketing message in a readable format. It’s time to hop on the mobile train. Develop a mobile responsive site and create responsive email templates. A great way to create destinations for shoppers is putting together product collections. These can be a group of similar products, a collection of supplemental products, or even clearance items. Collections give you a reason to re-engage customers with marketing emails, retargeting, and promotions. 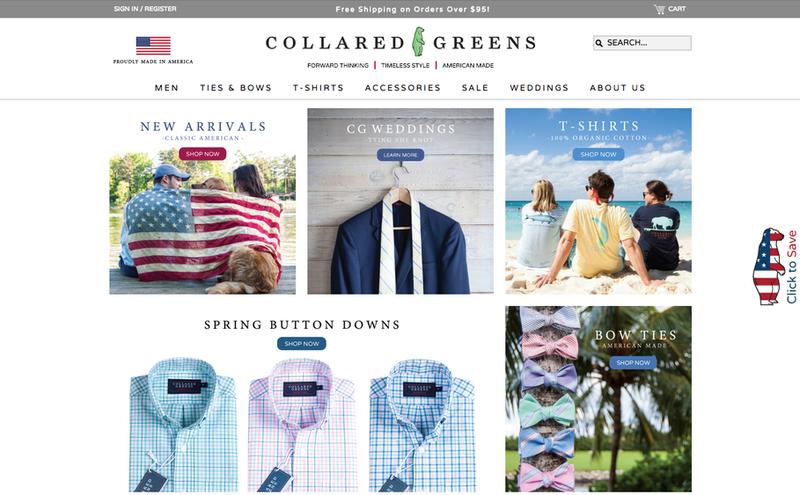 Men’s clothing brand, Collared Greens, uses collections on their homepage to give visitors direction. They use collections that are relevant for the time of year to drive seasonal sales. LiveChat is used by a bunch of brands but is often overlooked as an engagement tool. By interacting with visitors in real time, you can receive more engagement. In addition, LiveChat acts as an alternative to a phone call which makes it easier for shoppers to get in touch with you and your staff by chatting on site. In order to receive engagement, you must engage visitors on site. Use onsite promotions to engage shoppers with valuable offers that they can instantly redeem. By providing value in the form of discounts, contests, and content, you can generate leads and drive sales while also creating brand loyalty. Take it a step further with segmented and targeted promotions. Visitors will receive relevant offers which will lead to a higher rate of engagement. 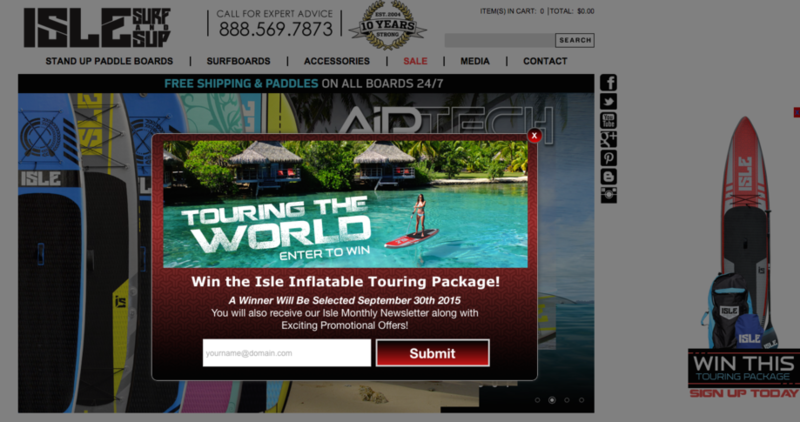 Isle Surfboards uses a contest promotion to engage visitors on site. This tactic resulted in a 660% increase in email leads! There you have it. 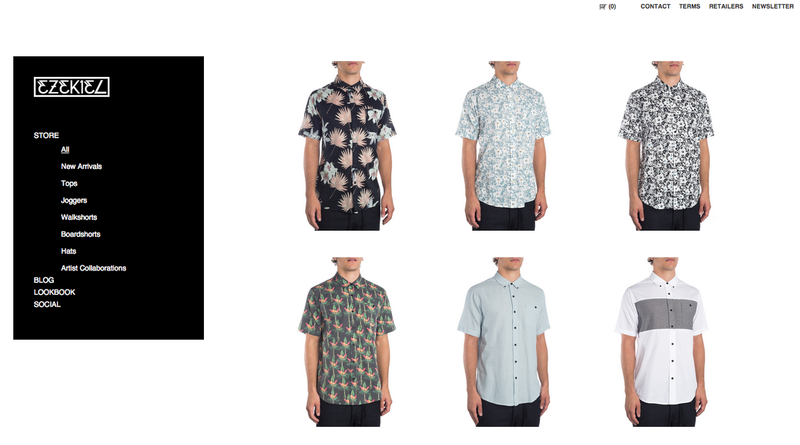 We’ve explored several ways that you can drive engagement with your online store. If I happened to leave something out, please share your own engagement strategies with us in the comments below!